Sold individually. Pictured to the right are 4 stacked units. These can be ordered already welded together to your specs, or you can order then with holes already drilled and you can screw them together. Because most people order these units assembled to their own specs, we do not stock this model and it comes directly from the factory. 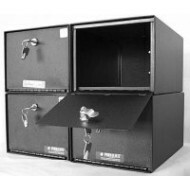 There will be additional shipping costs if you want your units welded or with holes drilled for screws and shipped from the factory. If you want your units welded or pre-drilled, please call in your order and we will give you a shipping quote and approximate delivery time. 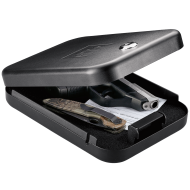 A V-line pistol case will provide you with secure storage. 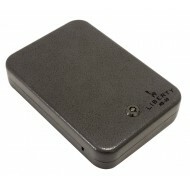 You can use this pistol case for other items such as cash and credit cards. 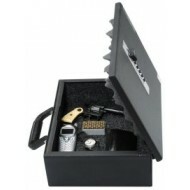 This pistol case is extremely easy to access with its push button lock. 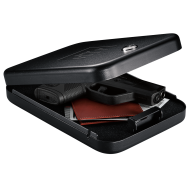 The Top Draw pistol case can be installed on most surfaces or you can use the pistol case with the easy release mounting bracket. 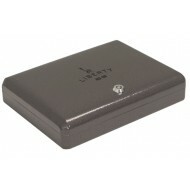 Pistol Case 3/8" thick steel lock block is welded to cover guides and adds strength to the lock bolt. 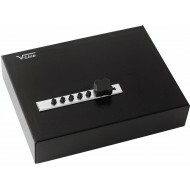 Prepunched holes for easy installation. 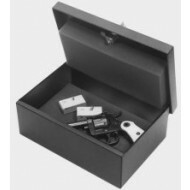 This is a tough, affordable pistol safe which is suitable for home, office, or your store. 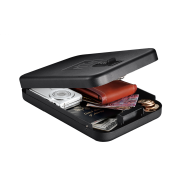 With an oven baked enamel finish, this is a seriously tough safe. Optional Mounting bracket is available.